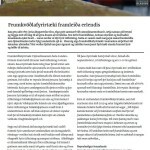 Íslenski sjávarklasinn » (English) Can we double the value of fish catch in the world? Is it possible to double the value of world fish catch creating nutrition, jobs and wealth to fishing nations worldwide? Yes, and we believe Iceland has a role to play in this. Icelanders pride themselves of the Icelandic Cod and how this small country has managed this marvellous fish and other fish resources sustainably. 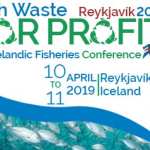 The Icelandic seafood industry has been very successful in developing products from the Cod from parts of the fish which in most countries are put in the dust bin; innovative health-, pharmaceutical- and even fashion products from the wild fish stock. 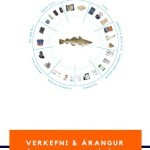 This pride in fisheries is probably the main reason for the success of Iceland as a fisheries nation. 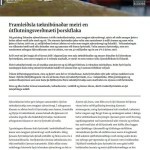 The Icelandic fisheries sector has for over hundred years been known to be the most productive fisheries sector in the world. 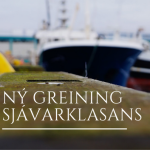 As a result Icelandic fishermen have continuously been making an effort to do better. This continuous search for better ways to catch the fish, process and bring it as fresh as possible to the customer, led to a close cooperation between the fishermen, people in transportation and marketing, engineers and researchers. 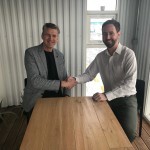 Now Iceland, with a population of just over 300 thousand, has two leading companies in the world in the marketing and distribution of fish, two leading players in food shipping in the North Atlantic and over 70 technology firms which many have become global providers of various products for the food, aquaculture and fishing industry in the world. Marel, by far the largest company in this group, is the leading provider of technology for the global food processing industry. Icelanders are responsible for catching, feeding or transporting daily fish proteins to over 30-40 million people worldwide. 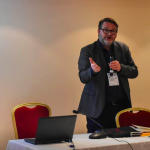 The quest for high quality and sustainability also encouraged young people in the cluster of fisheries and technology in Iceland to pursue careers in sustainable fisheries, marine biotechnology and fisheries management, many becoming globally known in their fields. 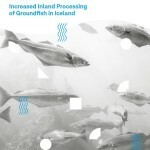 Icelanders have shown it is possible to double the value of fish catch. Through various innovation Iceland gets nearly 50% more value from each fish caught in Iceland than many other developed fishing countries. The difference is even higher between Iceland and various developing countries. There are lots of opportunities to do better with the wild fish protein; being one of the best proteins in the world. The world can learn from Iceland – this small fishing nation – which has in many ways transformed itself from being one of the poorest countries in the world a century ago to become a leader in “fish” and one of the richest nations in the world; a nation which has shown pride in its seafood industry and uses new innovation to safeguard the environment, create wealth, get more value from each fish and manage fisheries in a sustainable way.